As far as snack bars go, the Copper Plate in Barton, VT is at the top of our list. Over the last few years, this stationary food truck has become an area favorite, and I make sure to stop by a few times over the summer. What makes the Copper Plate restaurant/food truck unique is the daily specials Eddie, the chef, comes up with. Beyond providing delicious snack bar staples made from fresh, regional ingredients, he goes a step above creating culinary treasures for his special board. He also features a rotating salad selection, all house made, for dinner sides or a la cart ordering. On my last visit to the Copper Plate, the specials included a fried shrimp dinner. 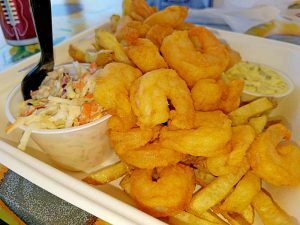 Now these shrimp are sourced from a regional market, and are NOT the little fried shrimp, over breaded and tasteless that often come from snack bars. 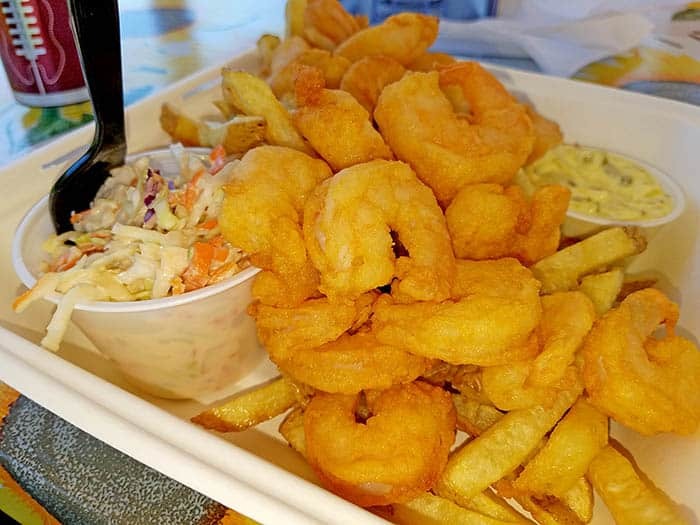 Instead, I received a pile of lightly breaded shrimp, battered right before being dropped in the fryer. To me, that was refreshing to see. My husband ordered the special burger, medium, covered in grilled onions and peepers, with cedar cheese. The burger looked and smelled fantastic. It was well cooked, and the burger was fresh. 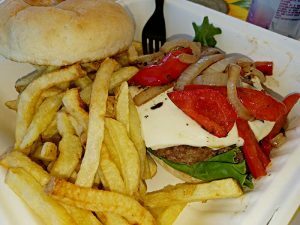 His only complaint was that the juice from the burger and fresh veggies soon overwhelmed the bun, causing it to get soggy – but flavor wise, he was quite impressed. Our experience with most outdoor snack bars has been overcooked burgers with no flavor, so the Copper Plate offers a more gourmet experience. There were four orders in front of us so we had to wait a while. If you have the time, the waiting is half the fun! 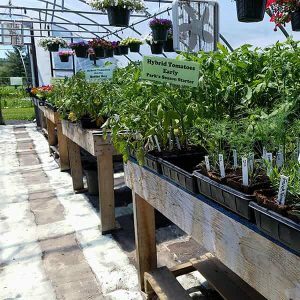 Located at the River’s Edge Farm Stand there are green houses to look through, field gardens to enjoy, and the stand itself to peruse. The farm stand features vegetables, herbs and fruits grown on the property. They also get produce, food products, and cheeses from local and regional farms. Regional here means anything that can be picked and delivered in the same day – so some produce comes from just over the Canadian Border, and other things come from statewide farms, northern NY, NH, and sometimes from Mass. or CT if it is something that they can’t get more local. Much of the seafood used at the Copper Plate comes directly from a wholesale Mass. market, fresh weekly. Produce used by the food truck comes from the farm stand or is grown on the property. It makes sense that these two food based businesses would work together and share a location, especially considering they are run by a husband and wife team. The Copper Plate is a wonderful summer time treat. A great spot to take the kids on a warm day, with plenty of outdoor seating (some even along the river), a beautiful location, and plenty to choose from including hot dogs, burgers, sandwiches, fried food, and daily rotating specials. 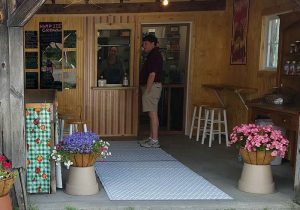 The fresh produce takes this snack bar/food truck above and beyond what those phrases bring to mind. 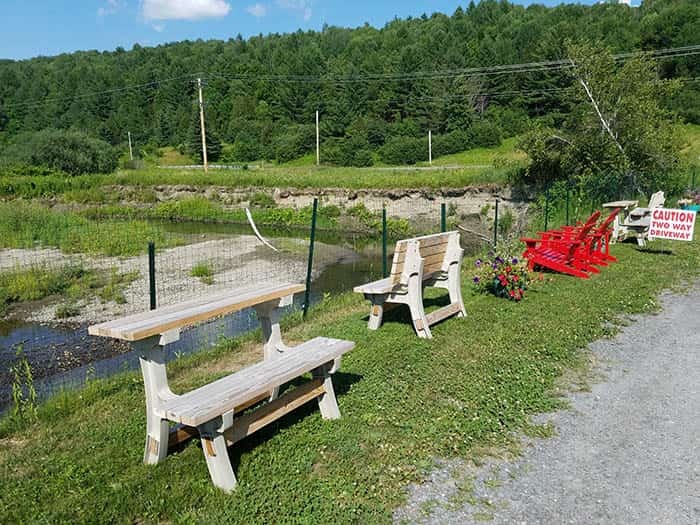 And now, with an ice cream shop right in the farm stand – this Barton, VT restaurant should be added to your list of summer places to visit with family and friends.